Viridian 100% Organic Ginkgo tincture is made with fresh Ginkgo biloba leaves. 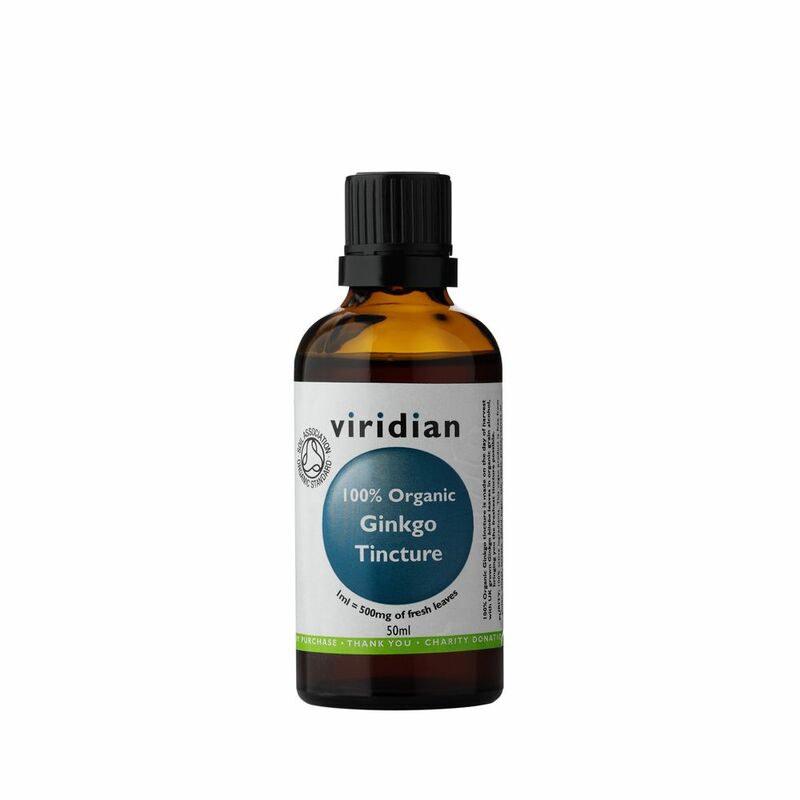 100% Organic Ginkgo tincture is made with fresh Ginkgo biloba leaves. Our leaves come from the ancient Ginkgo biloba tree at Kinnersley Castle in Herefordshire. 100% organic and natural, no synthetics whatsoever. The tincture extraction technique involves pure organic alcohol which draws elements from within the plant into the solution. To remove/lessen the alcohol content, simply add the required amount to an egg cup of freshly boiled water and leave to cool; the majority of the alcohol will evaporate with the steam. Created in the United Kingdom using traditional craft skills and plant knowledge. Certified organic by the Soil Association. Water, Organic Alcohol & organic fresh ginkgo extract.